Added the Character General Election! 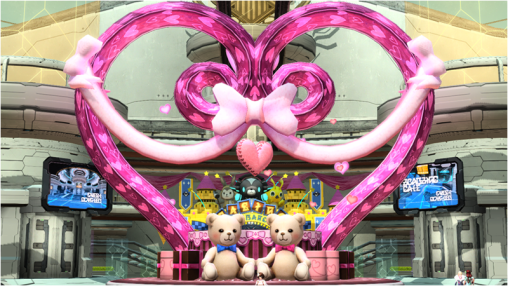 The ARKS United Festival 2015 is an event that celebrates the 2nd anniversary of the release of PSO2 Vita. During the event, players can participate in a special limited quest featuring a wide variety of enemies including Naberius natives, Mechs, Dragonkin, Oceanids, with a special appearance from Dark Vibrace. 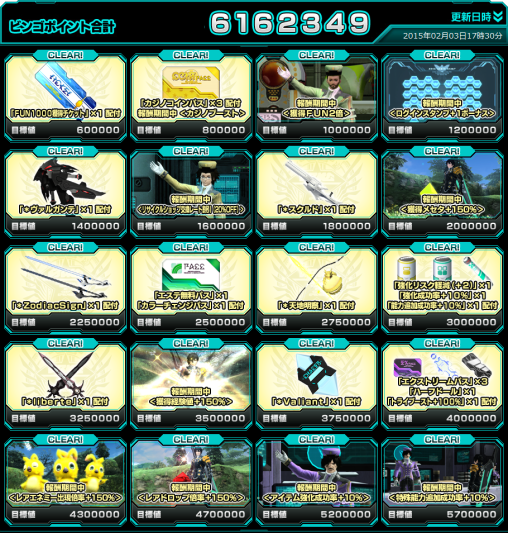 During the event period, players will be given a Bingo Card. As they clear the lines vertically, horizontally, and diagonally, they’ll earn points that are tallied with other players to unlock rewards from the web panels. The rewards will be distributed for a limited time after the conclusion of the event. Some of these rewards contain boost events which will occur between March 18th through March 25th. It’s time for the 2nd annual Character General Election! Players can vote for their favorite characters between January 21st through February 18th. The designers will then create an item based on a theme for the character that wins the most votes in each election category. Players are allowed to vote once per day in each category. Players can vote again each day after 0:00 JST. The mid-term results will be announced February 4th. The voting period ends February 18th @ 16:00. The winning character in each category will have an item created based on a theme for that character. Press the light blue button [投票する] to vote for your favorite character. This can be done in each of the three election categories for [Females], [Males], and [Enemies]. After clicking the voting button, press the purple button to the left [はい] to submit your vote. Afterwards, scroll up to the top and select one of the 3 purple buttons to switch to another category. This can be done everyday until the voting period ends on February 18th, 2015 at 16:00 JST! 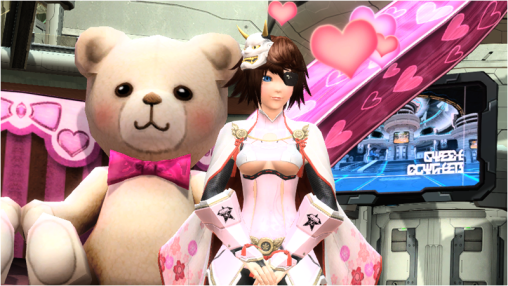 The ARKS Museum is accepting submissions for the PSO2 Character Contest! Bring out your inner fashionista and put together a style that will impress everyone in one of the three contest categories. Warm Colors of Winter Through Spring! A style that evokes the feeling of Winter and Spring. Submit a style expressing the color of warmth from Winter to Spring. A Refreshing Style Topped Off with A Cute Hat! A style where your hat becomes the deciding factor. Put your favorite hat-accented styles proudly on display. 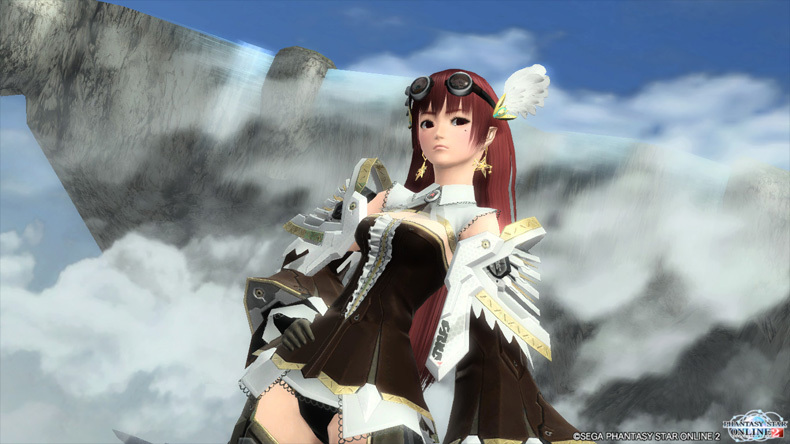 Display a Gallant Figure: Strong ARKS Style! 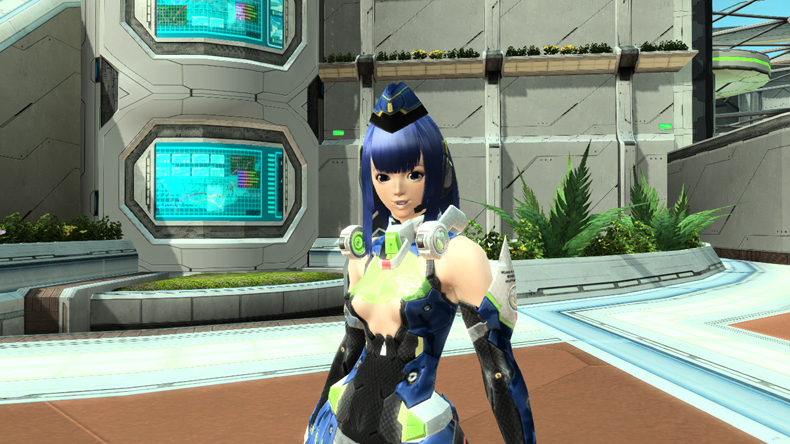 A style that appeals to the strong figures of ARKS members. We’re looking forward to styles accentuating strong angular forms and poses. Prizes will be sent to the Visiphone in a future Maintenance. You may freely use any costumes, hairstyles, and accessories as you please. You must save your character creation data and upload it to the entry form. You must take one screenshot intended for the contest itself and another screenshot with your Player ID overhead. This screenshot is intended for the contest itself. You can take the screenshot in any location. Weapons and Mags must not be photographed in the screenshot. Units (Arms, Legs, and Rears) must not be shown in the screenshot. You may choose to stealth them if you wish. Other player characters, NPCs, and enemies must not appear within the screenshot. Please take the screenshot in landscape orientation in order for us to understand the full-body fashion choices of the character. Screenshots must be taken without the User Interface. This setting can be changed in Options. The [Camera Selection] feature in the Quick Menu can be used for the screenshot. Optionally, you may also use the room item [Digi Ichi] to take the screenshot. You may use lobby actions and change your character’s facial expressions in the screenshot. [Cut-in Chat], [Chat Bubbles], [Emotional Symbols], and [Symbol Arts] are not allowed! The Character’s [Player ID] must display overhead. The character must be facing the screen, full body in view. The screenshot must be taken in a location where the Player ID is visible. The screenshot must be taken with the user interface ON. You can press the ｢+｣ ｢-｣ ｢/｣ ｢*｣ keys to change the zoom and height. You can use the Quick Menu’s Camera Selection menu to set up the camera at various angles. Try turning [Blur] off in the Options to take clearer screenshots. You can turn off the interface in screenshots in the Options Menu. In the Chat Window, you can set a command to change your facial expression without the cut-in chat window. The submitted entry must be an unpublished work created by the player themselves. The screenshots must be a JPG file up to 1MB in size. Image processing functions like cropping/trimming should not be performed. The Character Creation Data must be the same as how the character appears in the screenshot. Please refrain from posting the image to the public like on social networking sites and blogs. Character Creation Data saved in the state the character appears in the screenshot. 1 Screenshot intended for the contest. 1 Screenshot with the [Player ID] overhead. Entries submitted to places other than the Contest Entry Form do not qualify. Entrants may submit one entry per contest category, giving them a maximum of three entries for the contest. If several entries are submitted to the same contest category, only the last work submitted will count for that category. Entries may not be submitted from Playstation Vitas. Works published to the official site may include the character’s name, the title of the entry, and its description. The description may also be edited under SEGA’s discretion. 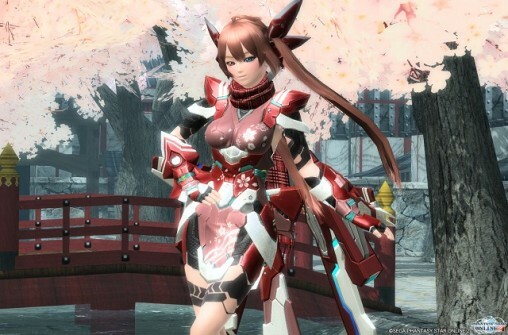 Entries that are against public policy, or that violate copyrights outside of Phantasy Star Online 2 may not qualify for the contest. The copyrights of the works submitted will belong to SEGA. Entries may be published to other forms of media, including magazines and such. There may be cases where works could be deemed unsuitable and removed from publication even after they were posted. You can check out the rest of the contest rules and details at the official contest page. Press the big purple button at the Contest Page to submit your entry. The ARKS Museum is accepting submissions for the PSO2 Movie Contest! Upload your video to Nico Nico in one of the four categories and paste the link into the submissions form to enter the contest. Item Codes will be sent to the email address written on the submission form. Honorable Mentions will receive a present. Videos submitted for the Lobby Action and Promo Video contest categories must be no longer than 1 minute. Videos submitted for the Entertainment and Super Play contest categories must be no longer than 5 minutes. Entrants can only submit works related to PSO2. Entries do not have to be limited to only in-game footage, in fact, they may also include live-action footage too. Works must be created by the entrants themselves. Entrants may use tools to alter and edit the video. Entries can use images, videos, and music resources related to Phantasy Star Online 2. In addition, entrants may also utilize free-use resource materials or make their own. 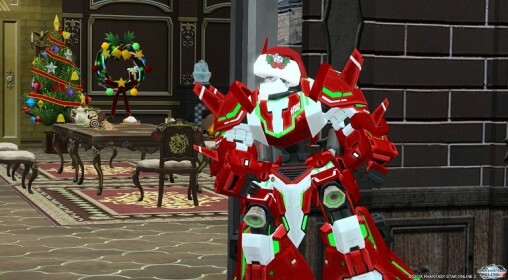 However, in regards to the music discs available in the game, only the music of “Phantasy Star Online 2” can be used. Both of these tags must also be locked to prevent tampering. STEP 1: Upload the entry which meets the above mentioned conditions to Nico Nico Douga. STEP 2: Tag your entry using the two tags described in the previous section and lock the tags. STEP 3: Fill out the submission form with the required details, and after carefully confirming its contents, submit the form. A Nico Nico account is required to enter the contest. Entries may become disqualified when they do not adhere to the terms of submission set forth by the contest. The following situations below may disqualify a work from remaining in the contest. Submissions that were copied, modified, and adapted from works created by a third party. Submissions that infringes upon the intellectual property rights, trust and honor, image, and privacy of a third party. Submission that were determined to deviate from the themes set forth by the contest. Submissions that are against public policy. Submissions that were entered in other contests or won previous contests. Submissions that SEGA deems inappropriate for the contest. An individual is able to submit one entry per contest division, giving them a maximum of four entries for the contest. If several entries are submitted to the same contest division, only the last work submitted to the same division will count. Please obtain permission from the individual or rights holders of any persons or institutions appearing within the submitted entry. Press the big purple button on the contest page to reach the submission form. We would still need a mirror or something to access the actual contest entry page at ssl.pso2.jp. 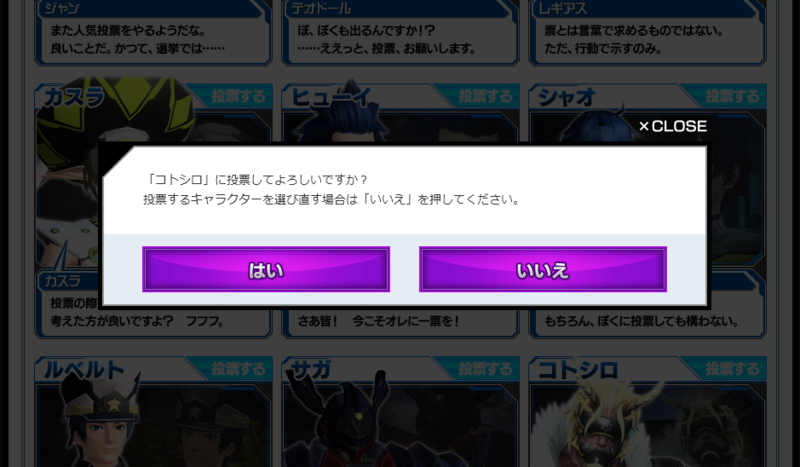 Clicking the submission link on the contest information page will still not connect, like the un-mirrored pso2.jp site. Any policy on resizing/compressing screenshots if they go over the filesize limit? Just compress them because you’re not allowed to crop/trim at all. But I don’t see any text about resizing though. Added some examples to the contest. For the WebPanel, does it means that the rewards are distributed towards everyone or only the ones who participated in the Limted Quest? Ah, nevermind. Had to read it a few more times. Who came up with the idea to have completing Bingo Lines be the way to earn points? What was wrong with just doing LQ runs? There is only one bingo? Or bingo for each week of event? I’m going to guess the reverse will be released in February since this event goes until the end of February. how to take the reward? They’ll be distributed at a later date, through the visiophone. GAH! those smiles are creepy! For the character contest, I wonder how they’ll feel about seeing english text in the image title / fashion comment section. Will that automatically disqualify my entry? How about leaving both blank? Will that work? Whatever staff checking the entries simply won’t be able to read the english comment probably. Comment field is there to make others understand better your theme and intent to make this kind of character. Why not simply uninstall the patch, run the game, take screenshot, reinstall patch? im pretty sure you can login whitout reading by now and its less “risky” whitout any patches if you really wanna apply. Anyone play on ship 10? Just got back online with my vita.